This article was last updated Dec 13, 2018, but some terms and conditions may have changed or are no longer available. For the most accurate and up to date information please consult the terms and conditions found on the issuer website. If you hold one or more of the four travel-branded Capital One credit cards, there’s good news: You’ll now be able to transfer the miles you earn to 14 travel loyalty programs, with more partners to be announced in the future. Capital One joins American Express, Chase and Citi offering cardholders this option, which can add a lot of value when redeeming points for travel. Check out our cheat sheet on how long it takes for airline point transfers. We’ll share details of which airlines are covered and the transfer rates. We’ll also do a quick review of other travel-related benefits offered by the four cards covered under this new benefit: Capital One® VentureOne® Rewards Credit Card, Capital One® Venture® Rewards Credit Card, Capital One® Spark® Miles for Business and Capital One® Spark® Miles Select for Business. With this new transfer feature, you can now book airline award tickets (including first and business class), access points transfer promotions from leading travel brands, top off mileage accounts to maximize redemptions, upgrade existing bookings and more. Miles are transferred at a rate of 2:1 to Emirates (Emirates Skywards) and Singapore Airlines (KrisFlyer). The option to redeem your miles at Capital One with no blackout dates on travel purchases — flights, hotels, rental cars and cruises — will remain. Simply log into your account online or call the Rewards Center at 800-228-3001 to redeem miles and receive an account credit for the cost of any travel. This $0 annual fee card offers new cardholders a One-time bonus of 20,000 miles once you spend $1,000 on purchases within 3 months of account opening, equal to $200 in travel. Use those bonus points to book travel at Capital One partner Hotels.com/Venture, where you earn 10 points per dollar spent when booking rooms. The Capital One® VentureOne® Rewards Credit Card offers 1.25 Miles per dollar on every purchase, every day. The card comes with travel accident insurance, auto rental collision damage insurance and extended warranty. The foreign transaction fee is None. 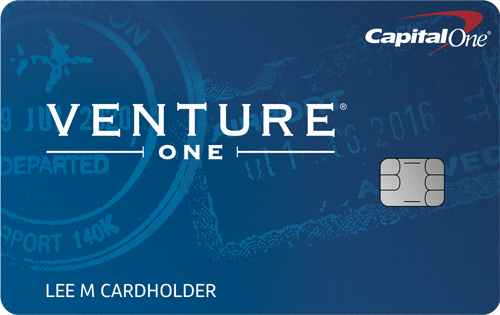 Check out our full review of the Capital One® VentureOne® Rewards Credit Card. Cardholders earn a One-time bonus of 50,000 miles once you spend $3,000 on purchases within 3 months from account opening, equal to $500 in travel. It comes with an annual fee of $0 intro for first year; $95 after that. Cardholders earn a flat 2 Miles per dollar on every purchase, every day. The card comes with a credit of up to $100 to cover the enrollment fees for either Global Entry or TSA Precheck. Like the Capital One® VentureOne® Rewards Credit Card, it also comes with access to the Hotels.com/Venture perk, where you can earn 10x miles when booking through Hotels.com, along with travel accident insurance, auto rental collision damage insurance, extended warranty and a foreign transaction fee of None. Check out more information about the Capital One® Venture® Rewards Credit Card. New cardholders Earn a one-time bonus of 50,000 miles once you spend $4,500 on purchases within 3 months from account opening. But read the fine print, because there’s a big spend required to get all the bonus points under this offer. The annual fee is $0 intro for first year; $95 after that. Earn a straight 2 Miles per $1 on every purchase, everywhere. One good thing about this card is it comes with many valuable business perks, including: quarterly and year-end summaries; the ability to download purchases from Quicken®, QuickBooksTM and Excel®; access to the Visa Signature® Luxury Hotel Collection; roadside dispatch; auto rental collision damage waiver; Visa Signature® Concierge; lost luggage reimbursement and travel accident insurance. Check out our full review of the Capital One® Spark® Miles for Business. (15) Over the Past 60 Days! This card offers new cardholders a One-time bonus of 20,000 miles once you spend $3,000 on purchases within 3 months from account opening. It has a $0 annual fee and offers 1.5 Miles per $1 on every purchase. 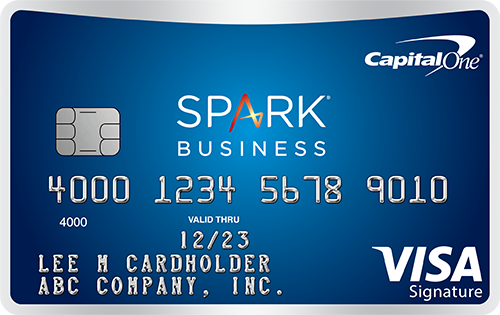 Even with a $0 annual fee, it comes with perks similar to those offered by the Capital One® Spark® Miles for Business. Check out our full review of the Capital One® Spark® Miles Select for Business. There are other cards on the market that give you more miles or points per $1 spent on travel than what’s offered by these four Capital One consumer and business credit cards. But the ability to transfer your points or miles to global airline loyalty programs has made these cards more attractive. And the fact that you earn more points for spending on airlines is also a nice change. These cards still give you flat rewards without having to remember different spending categories, along with a simple way to redeem them. But do your research of all your travel card options before making a final decision. Check out our roundup of best travel credit cards and best airline credit cards.